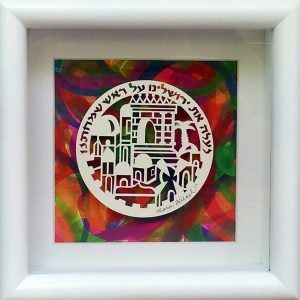 Categories: Gifts for the Jewish Home, Israel-Holy Land Papercuts, Jewish Wedding Gifts. 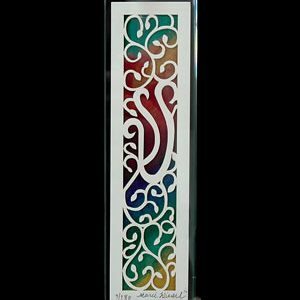 Tags: Ani L'Dodi V’Dodi Li, Anniversary gift, Jewish Papercuts, Jewish Wedding Gift, Judaica, Song of Songs Art. 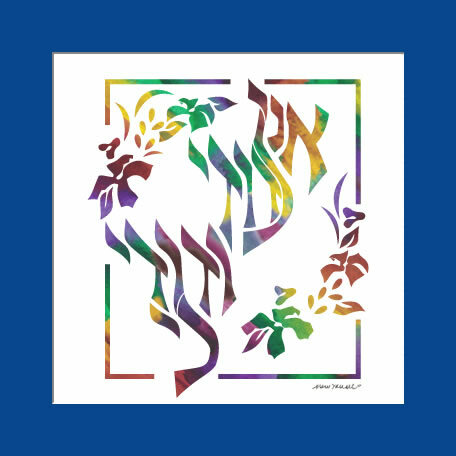 “Ani L’Dodi V’Dodi Li/ I am my Beloved’s and my Beloved is Mine.” This beautiful verse is taken from Song of Songs and expresses G-d’s love for the Jewish people. 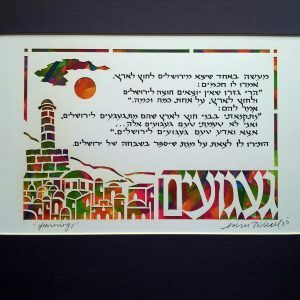 Highlighted are the first letters of each word: Aleph, Lamed, Vav, Lamed, which together form the word “Elul.” Elul is the special month on the Jewish calendar when Hashem is closest to His nation as they do Teshuva (ask forgiveness) just before the high holidays of Rosh Hashana and Yom Kippur. 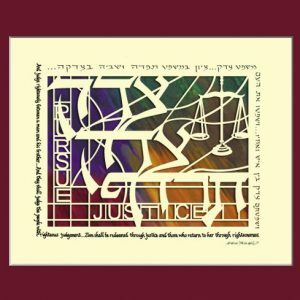 This Hebrew papercut is a beautiful Jewish wedding or anniversary gift to offer to your spouse.